Launch trailer showcases Ninja Theory’s critically acclaimed action adventure title on Nintendo’s system. Ninja Theory’s award-winning action adventure Hellblade: Senua’s Sacrifice is now available for the Nintendo Switch. Check out the launch trailer below. It offers a glimpse at some of the horrors that protagonist Senua will face. 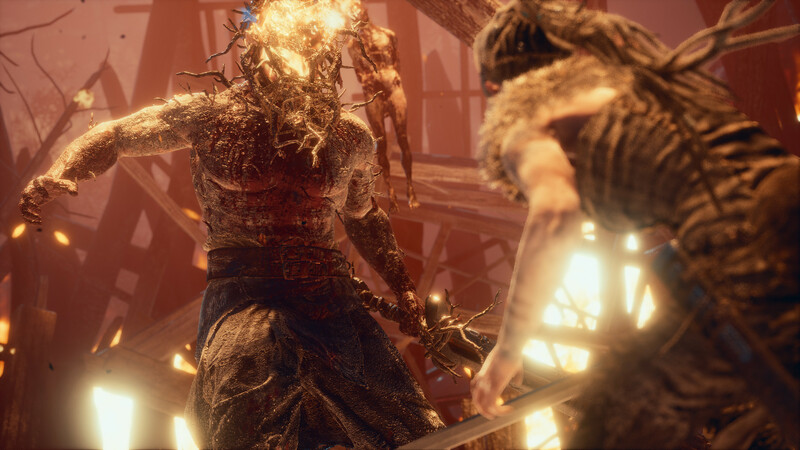 In Hellblade, Senua journeys to Helheim to recover the soul of her dead lover from Hela. Senua is hounded by “Furies”, voices in her head that serve as auditory hallucinations for the psychosis she suffers. Throughout the game, players will learn more about Senua’s past and what the true significance of her journey. Hellblade: Senua’s Sacrifice originally launched for PS4 and PC before coming to Xbox One. It’s also available for VR platforms like Oculus Rift and HTC Vive. In our review for the original launch back in 2017, we called it a game that was “deftly crafted with stunning detail and an expert depiction of psychosis”. Read our full review through here. For a better look at how Hellblade’s visuals on the Nintendo Switch compared to the PS4 version, head here.